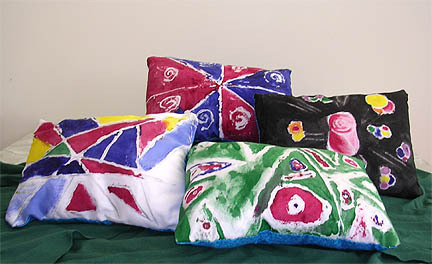 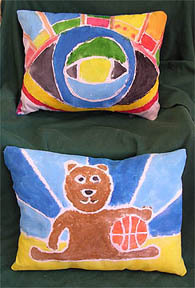 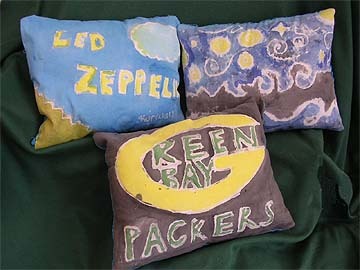 Students in grades 6-8 created glue batik pillows during the 2004-2005 school year. 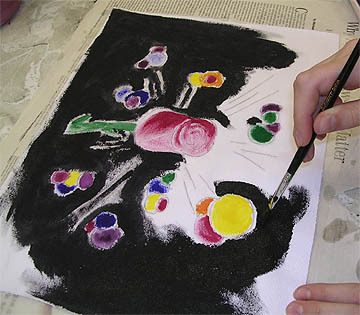 They developed simple designs on white copier paper, and then drew over the lines of their finished designs with a black permanent marker. 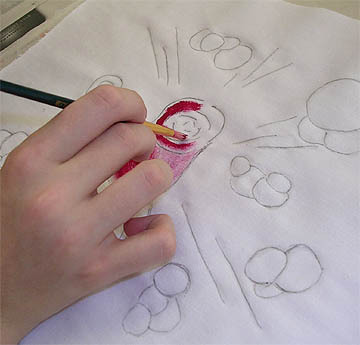 They taped their paper to a window, taped a piece of 10x13 white cotton fabric over the paper, and used a pencil to lightly traced their design onto the fabric. 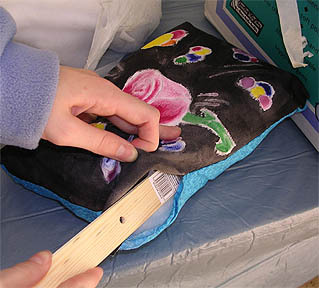 They drew over the lines on the fabric with white washable glue. 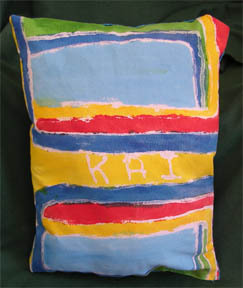 When the glue was dry, they used acrylic paint to add color to the fabric. 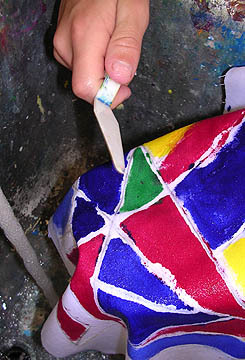 When the paint was dry, they washed the fabric in the sink. 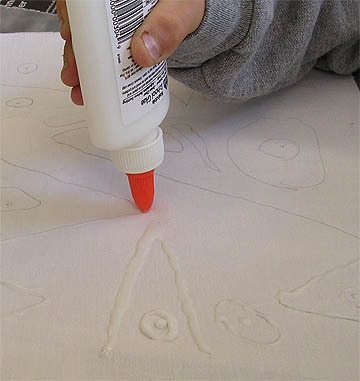 They used a palette knife to scrape off all the glue. 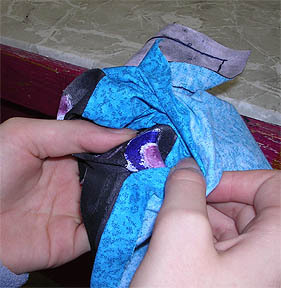 The next day they put their fabric face down on the "right" side of another piece of fabric that was cut to the same size. 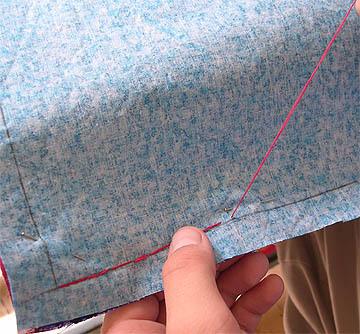 They pinned the two pieces together with straight pins, measured a generous 1/2 inch and used a pencil to mark a border around the edges. 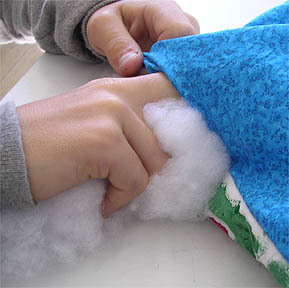 Using needle and thread, they back-stitched the two pieces of fabric together, using 1/4" stitches. 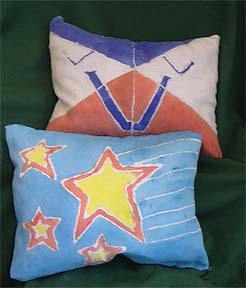 ...sewed up the opening, and they were done!